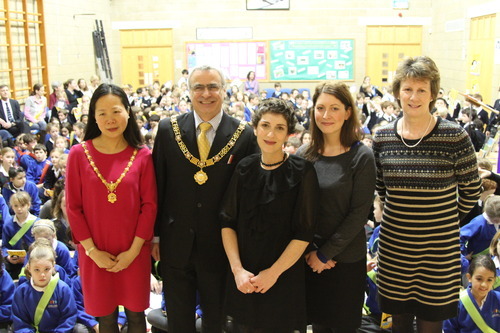 So, got up, ate porridge, corralled angry small menace into school uniform (disappointment at having to go to school dressed as schoolgirl, not Katherine Parr, due to Ofsted swooping in and causing cancellation of World Book Day), set new world record for the biggest ever literacy lesson with 288 children at KES Juniors and Combe Down Primary in Bath. Just your average Thursday really. See how I affect such nonchalance. I practically radiate boredom, having practiced ceaselessly since the age of thirteen as cover-up for my usually overexcited idiotic self. Because fact is, am still utterly overexcited and idiotic about it. Could barely sleep the night before and several days after. I was in national press, I got free school lunch (beef stroganoff, no salt), I met the Mayor and got to touch his totally bling gold necklace. I mean, I know it wasn’t synchronized tap dancing for twenty-two hours solid around BBC Television Centre, or long distance hurdling, or eating as many Dairylea Triangles as you can in one minute. And Guinness still have to verify that we clicked everyone in and out on those little machine things and didn’t try to sneak children in twice. But still, I’m pretty proud. It’s the closest I will ever get to Usain Bolt after all. 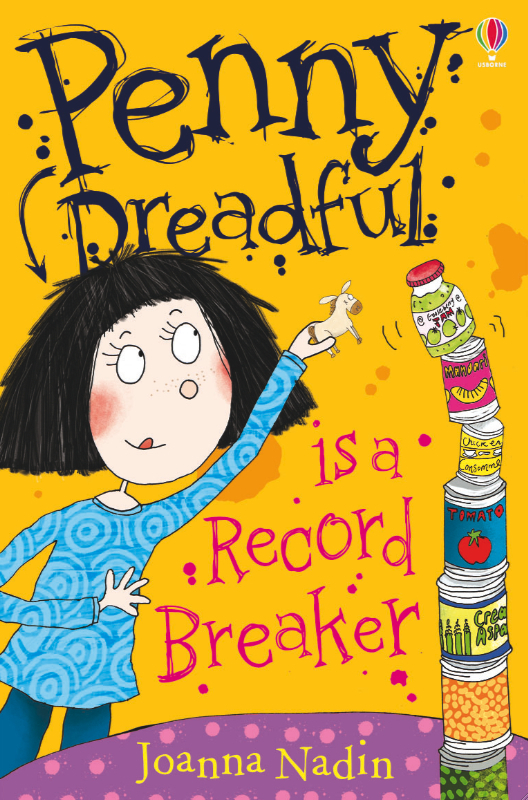 This entry was posted in Blog, Reading, Teen and tagged Bath, Combe Down, Guinness World Record, Joanna Nadin, KES, Penny Dreadful, Usborne. Bookmark the permalink. Sounds like you had a wonderful day. Says a lot that a school had to cancel World Book Day because of an Ofsted inspection. What’s more important, books or Ofsted? Ofsted, of course! Reminds me a joke I used to hear in staffrooms in the 80s. Dinner ladies think children have lessons to fill in the time while dinner is cooking. Surely embracing world book day would merit points on an Ofsted score? lef ‘of’ out in third line there.